Feeling the pressure of too little result for too much effort? In this video, I discuss how to prioritize your tasks to maximize your results! Get Focused Get Results, simple right? Hi this is Dean Mercado from Online Marketing Muscle and welcome to this edition of the Marketing Minute! 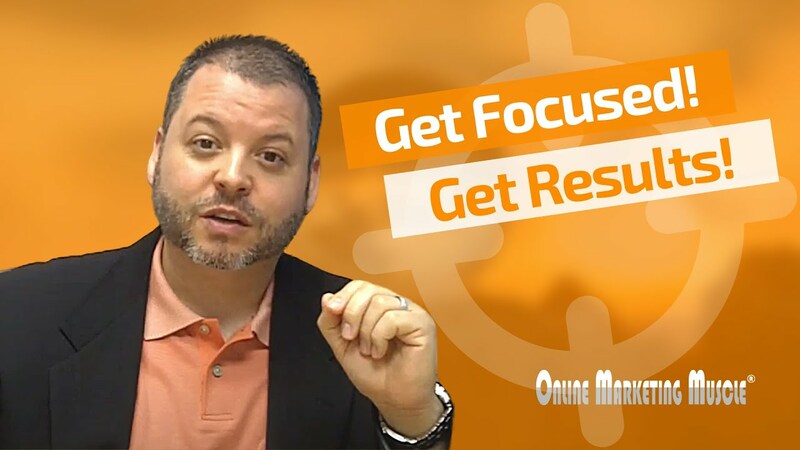 Today’s topic is get focused…get results! Quote: “Most of us focus on what’s urgent and not enough on what’s important.” Stephen Covey … The late great Stephen Covey…Boy I owe that man a debt of gratitude. His book The Seven Habits of Highly Effective People definitely shaped my career when I read it probably some 20 plus years ago. Still affects me to this day. I still re-read that book every so often and I get something new out of it each time. Why is this relevant? Why is this relevant to getting focused, getting results? I want to share with you real quick a piece of that book where he talks a little bit about his time management quadrant and in that quadrant you have things that are not important, things that are important, things that are urgent, things that are not urgent. And the key is most of us get caught up in things that are deemed as urgent and things that are deemed as not important and that’s a big key here to what I want to discuss because as you think about your day, and you go through your day, every task that comes across your plate, everything that comes across your periphery during the course of the day, where does it fall into that quadrant? Are these things important? Are they not important? Are they urgent or are they not urgent? They key is that we don’t want to go through a day that’s all critical, that’s all urgent and important. That usually means that we’re doing something wrong. We’re not managing our time well. When everything is a fire and we have drop everything and wow, we gotta go address that real quick, this causes problems if you haven’t noticed that already. They key is to get things when they are important but they are not urgent. What do I mean by that? Important things, relationship building, developing your relationships is important but it’s not urgent at that moment. But by developing that relationship today better things happen for tomorrow. Does that make sense? I hope that does. Things that usually fall into that quadrant, that scary quadrant of critical and important, a lot of those are, we manufacture those ourselves, like your email. Is it really critical and important that you check your email as soon as it comes into the inbox? As soon as you hear that ding or whatever it is pop up on your computer? Somebody instant messages you, is it critically important to drop everything you’re doing? Lose your focus and respond to that? Your phone rings, do we drop everything we’re doing to answer that phone? The answer to all those are no. We create a lot of our own critical important what we deem as emergencies and then when real emergencies do arise it stresses us, puts us over the limit or we just can’t deal with it. So the key is to making sure that we’re focusing on the things that matter. The things that are important. The things that are going to lend to better results in the end. So I want you again to think about your day. Think about your next hour, think about your next five minutes. 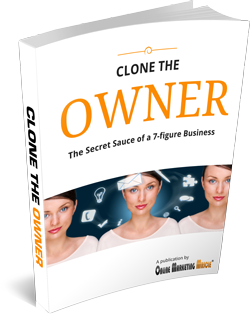 One of the most impactful things that you can do in the next five minutes to move you closer to whatever it is you are looking to achieve, so let’s say you are looking to get your business from $100,000 to $1 million dollars a year. What can you do in these next five minutes to move you closer to that financial goal? Is answering the phone call because it rang right now or diving into my email, is that the right thing to do? Maybe, it depends. Are you expecting a phone call from somebody who can move your initiative a little bit further faster? So the idea is stay laser focused on the activities that are important but not yet critical. It doesn’t mean don’t handle things that are critical that absolutely need your attention, yes, but the idea is to manage those and to really weed out of that the ones that really aren’t true emergencies. Down on the bottom quadrants you have those things that just aren’t important. A lot of times when things are deemed as not important but critical those are usually things and burdens that others put on us like when I say things like don’t try and give me your monkey, that’s what I mean, it’s like when other people try and make their problems your problems. You don’t want anything to do with that. The other quadrant are the kind of things that just aren’t important and they’re not urgent. And that could be entertainment, that could be watching frivolous movies and videos on YouTube. Not that that is a terrible thing, but just manage that as well. And make sure that you’re getting something out of it. If it’s entertainment you are looking for then fine, just make sure that it’s not impeding on what you are trying to accomplish. So bottom line folks, stay focused. Get focused get results. Think about what actions are the most important non-critical for you right now that will move you closer to whatever it is you’re trying to accomplish. And this goes for anything in your life and in your business. Love to hear what you think. Especially if you want to share what actions you took. Comment on the blog. Love to hear from you. Dean Mercado, Online Marketing Muscle. Make it an outstanding next five minutes! Take care, bye now.